Cracks appear at stress points in asphalt caused by several conditions such as underground roots, shifting and settling base material under the asphalt, and heavy traffic. Our Oregon weather with sun, rain, and freezing temperatures causes the asphalt to expand and contract causing cracks. As the asphalt ages, UV rays, water, and traffic cause it to lose its flexibility. 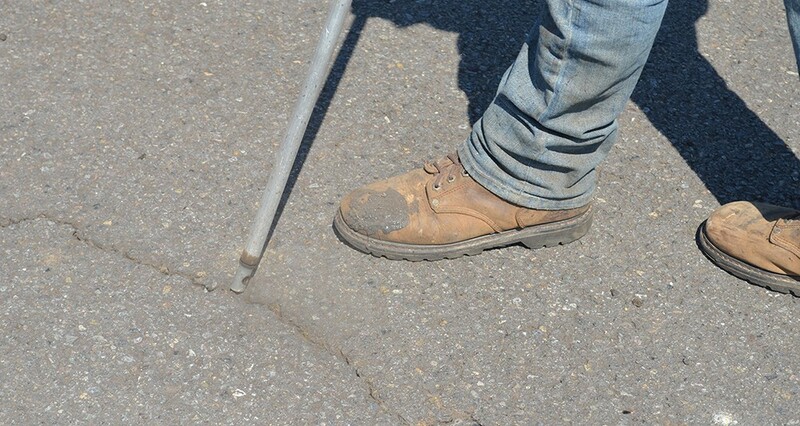 The less flexible asphalt will then crack rather than bend. 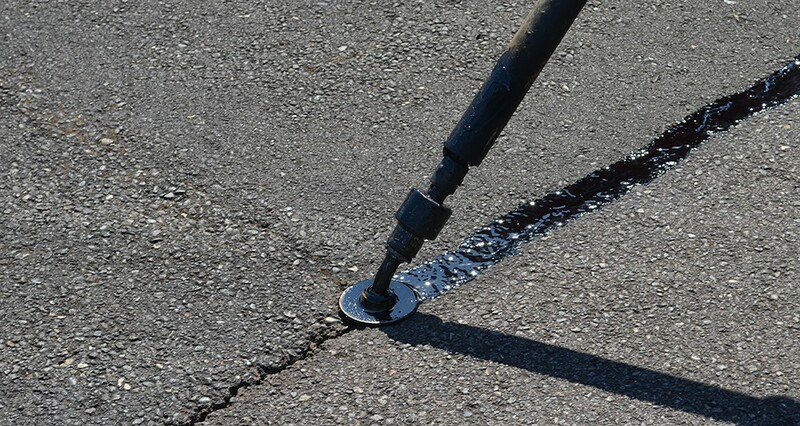 Crack filling is the process of sealing existing cracks with a rubberized material so that water and dirt cannot enter; greatly slowing the spread and further deterioration of the asphalt. We first clean out existing cracks to remove dirt, moss, and grass that would prohibit our material from adhering. We then inject rubberized material that has been heated to a liquid state into the cracks. While no process will completely prevent cracks from spreading, a continued maintenance program will minimize their progress. 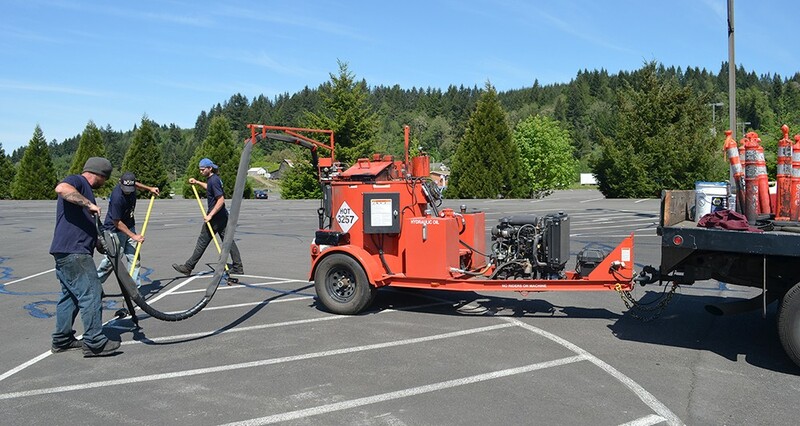 We recommend that the asphalt is then seal coated once cracks are repaired to help prevent further moisture from penetrating the pavement and seal in any natural oils existing in the asphalt.